One of the most memorable moments in the lives of expectant parents comes when they first see the image of their baby on the ultrasound screen. It’s the moment, for many, when a pregnancy really becomes real, when it finally becomes possible to grasp the fact that a new human being is developing inside the mother’s body. It’s a joyful and emotional moment, likely eclipsed only by the actual birth of the child. It’s also a moment that visually impaired people are deprived of. There’s a lot that sighted people take for granted, and not being able to see the image of one’s unborn child on a sonogram is something that never would have occurred to me when thinking of the losses blind people face throughout life. Today, people with visual impairments can take advantage of more technology than ever to help them experience and navigate life through their other senses, and a lot of that technology is of the 3D printed nature. 3D printing has allowed visually impaired people to “see” great works of art, to read books complete with images, to study tactile maps, and even to engage with museum exhibits. Why shouldn’t that same technology be used to let blind parents meet their unborn babies? 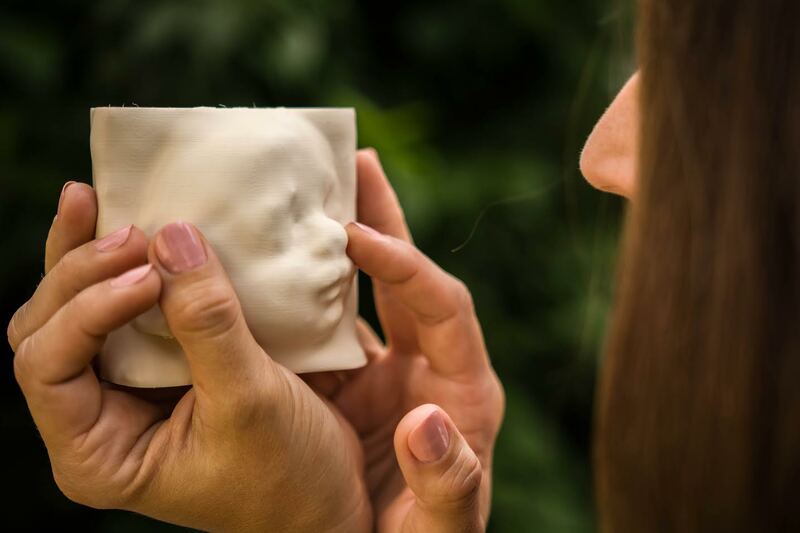 IN UTERO 3D is a newly formed, family-run company in Poland that creates 3D printed models from ultrasound images so that blind mothers can visualize the faces of their children in the same way they would visualize the face of anyone else – through touch. By feeling the contours of the face, the shape of the nose and lips, a blind person can get a strong impression of what a person looks like; touch is a very powerful sense for those who can’t rely on their eyes for information. IN UTERO 3D isn’t the first organization to 3D print ultrasounds for visually impaired parents, but what sets them apart, says the Polish organization, is their accessibility. They offer a program called “Waiting Without Borders,” which provides 3D printed ultrasounds to parents all over the world for a token cost of €1. All an expectant parent has to do is send the organization a file of the ultrasound they want 3D printed; IN UTERO 3D recommends that the ultrasound be from somewhere between 18 and 30 weeks. The files should be in Cartesian Volume Files (.vol) format for ultrasounds taken with GE Voluson equipment, or DICOM (.dcm) format for Aloka instruments. Along with the files, interested parents should send documentation of visual impairment. For mothers in Poland, all the necessary information can be taken directly at the office of one of IN UTERO 3D’s partner doctors, and the company will 3D print the ultrasound (using an Ultimaker printer and Spectrum filament) and deliver it directly to the parents. Mothers outside of Poland can send the information to the company via email; IN UTERO 3D will convert the ultrasound file to .stl or .obj using their specially developed software and then send it back to the parents, who can have it 3D printed locally. 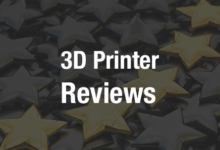 It’s a quick turnaround – parents who email their files in can expect their converted file returned by email within two days, while the actual 3D prints take about four days. Images will not be altered in any way, the company assures; parents can expect a perfectly accurate 3D bas-relief representation of their babies’ ultrasounds. Below, you can see a time-lapse video of an ultrasound being 3D printed, and also discuss your thoughts over in the 3D Printed Ultrasound forum at 3DPB.com.